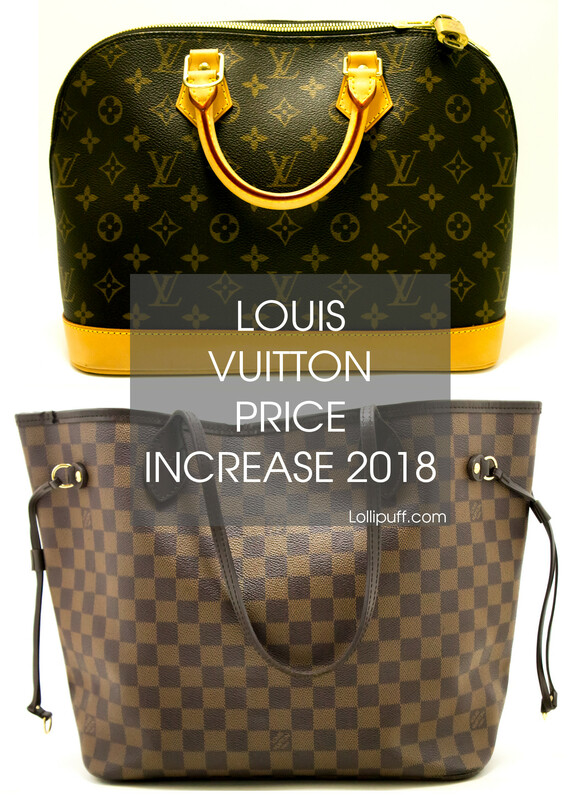 In February, the prices of many Louis Vuitton bags started going up. It appears that the price increases have finally settled. Most prices only went up slightly, lower than inflation, but others rose over 14%. Here are some of the new prices. For simplicity, the prices below reflect the following bags in canvas: monogram, damier ebene, and damier azur. Louis Vuitton has gotten even more popular in the last year. Not only have resale prices gone up significantly (more so than any other brand), but many classic Louis Vuitton bags are rapidly being sold out and becoming unavailable in stores. Louis Vuitton typically increases prices twice a year. This usually starts in February and October. Louis Vuitton has always been popular since its founding in 1854. It continues to be the most purchased designer brand in the world, and is easily considered one of the three most desirable handbag brands among Chanel and Hermes. We suspect that Louis Vuitton prices will inevitably continue to rise. It's never too late to invest in a timeless Louis Vuitton bag. Check Lollipuff for some of the best prices on authentic Louis Vuitton.